My infatuation with Little Cottonwood Canyon began six years ago, when, after skiing and working in Park City, I sought more of a challenge. I turned my focus to the Wasatch Front, and to Alta Ski Area specifically. For the past three winters, I worked as a chef at Alta’s Watson Shelter, perhaps the longest continuously running skier hospitality project in the United States. My work commute regularly included a few untouched pre-public ski runs and the occasional late-night snowcat tour, where I’d find myself in the original bastion of North American steep skiing. I was blessed to be surrounded by the people who are the engine for Utah’s formidable ski industry. They shovel snow, wash dishes, drive into early morning blizzards and put up with all manner of churlish tourist behaviors throughout the winter to spend as much time as possible in Utah’s absurdly beautiful Wasatch mountains. 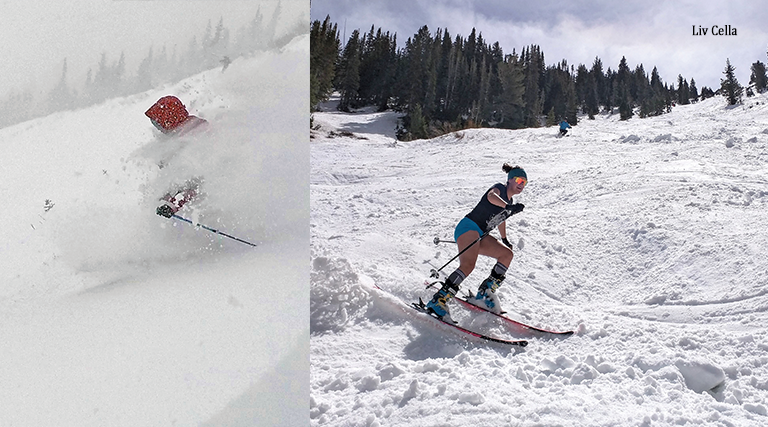 Different than the holiday crowd and weekend warriors, these are the “soul skiers.” You know the type: They moved to Utah from the East Coast years ago when even the best Vermont glade skiing could no longer satiate. They can tell you intimate details about every major couloir line in the range, yet somehow they’ve avoided mainstream ski-media attention. 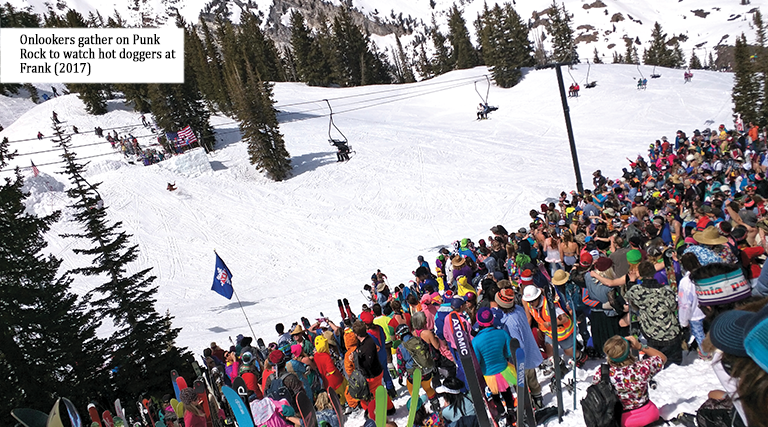 This is the cult of powder 8s, dawn patrols, cliff-jumping telemarkers and never-trained town race winners. These are the people who will drive to Jackson or Taos multiple times during the winter yet choose to maintain their family residence in Salt Lake or Ogden because they know the sacred truth: that Utah is God’s own ski country. 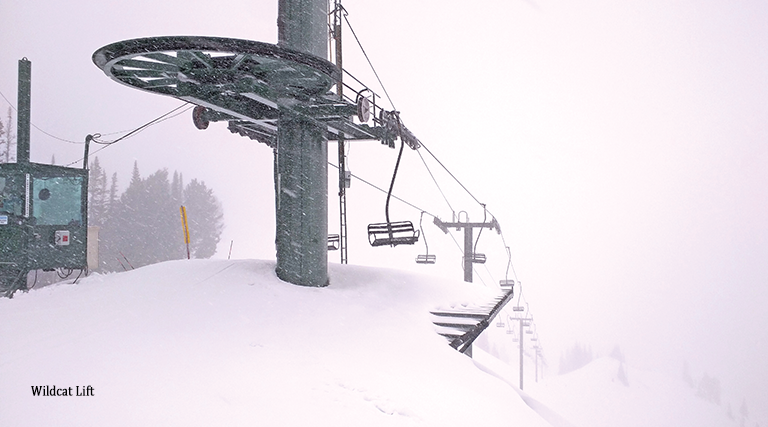 Utah claims “The Greatest Snow on Earth.” Yes, there are years where precipitation better favors the Sierras or the San Juans, but what makes Utah snow so special is not its average 500 annual inches at 8 percent water content, but the cult of powderhound die-hards that power Utah ski culture. The 100-plus ski days per-season crowd in Utah isn’t merely an extension of the modern global ski culture: It is the original. Most soul skiers will tell you about crafting a lifestyle based around adventure rather than profit. What they won’t tell you are the challenges of doing so in a state that rewards conformity and public modesty—traits antithetical to skiing as a lifestyle. The vision of these die-hard skiers transforms the backdrop of Salt Lake’s humdrum and grind into an explorer’s paradise. It is not just snow: It is snow that inspires adventure travel in dangerously tight chutes, through silent aspen glades and toward hidden vistas that stagger the mind with beauty, vertigo, and self-discovery. The invitation to peek behind the curtain rewards those who embark on a human-powered escapade to the top of a less-trafficked, unmarked inbounds run or a beginner backcountry area. The appeal is immediate and addictive. The obsession’s early stage is characterized by the stalking of used-gear shops in Millcreek and later leads to sightings of the afflicted at certain trailheads at 4 a.m. and Molly Green’s or the Peruvian Lodge bar around dinnertime on the same day. It culminates with the realization that one’s life is just going to be moving along with the weather and the changes of season instead of following the wishes and pleas of well-meaning family and friends who want you to advance a career. For the moment that we occupy this space, we’re the lucky few. Toward the end of his 1943 book Being and Nothingness, Jean-Paul Sartre speaks of skiing and the philosophy of ownership; the amazing thing about skiing is that, much like music, participation is related to aesthetic possession. The only way to own a beautiful moment is to actively pass through it. Accepting this immediacy as a fact of life is the driving force behind the whole endeavor of the skiing world. Everyone taps out eventually, whether due to failure of the body or other demands of life, and knowledge of this bittersweet fact is the fuel for the soul-skier’s passion. Our time here is short, and we need to chase our bliss, or it will never be ours. To hell with the physical and cultural strain! “Be here, now” is the mantra of the late hour. A beautiful side effect of the absurd collective dream of sliding down snow as a raison d’être is that almost all Utahns possess immediate access to living this dream—should we wish to take the plunge. Thanks to the community of tenured soul skiers who call it home, Utah is the perfect mountain laboratory for any aspiring soul-skier, with the perk of being a world-class ski tourism destination. 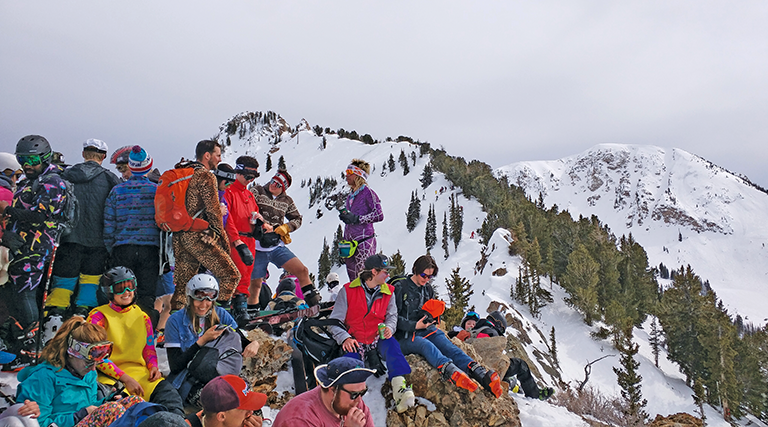 The measure of any community is its dedication, and Utah skiers possess so much of it that they have historically transformed and defined the modern version of the sport. Anyone can learn to enjoy sliding on snow to the point where they understand its importance as a uniquely transcendent experience. 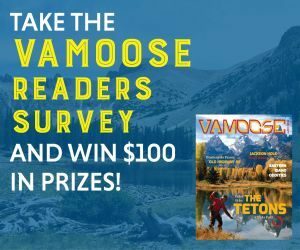 For those of us who heed the call to travel as far as we can down this particular dream road, it is hard to express gratitude for Utah’s mountains and its ski pioneers. And for the rest of you, I hope you’ll at least have your interest piqued enough to extend your glance up the canyons into a gaze.